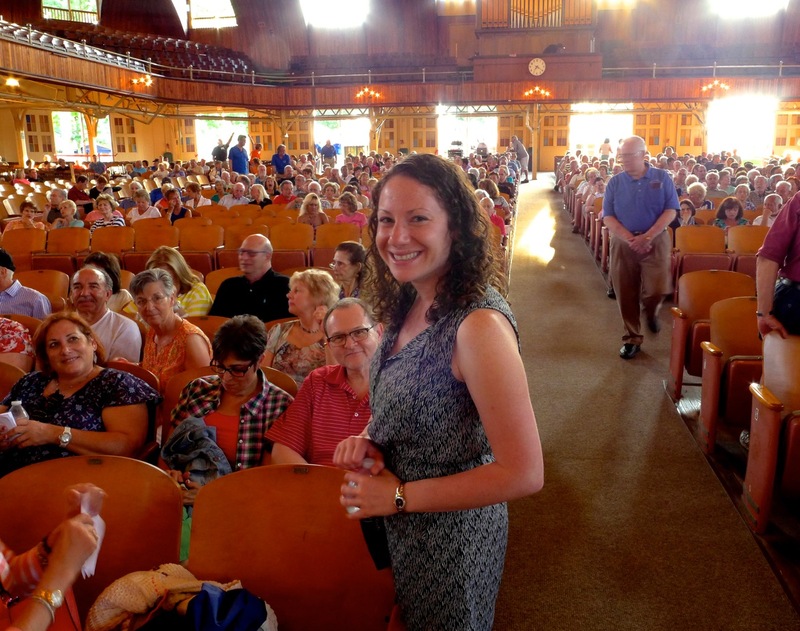 Audience arrives for a June, 2011 Doo Wop concert in the Great Auditorium. Paul Goldfinger photograph. © Click to make the crowd larger. Say goodbye to the Doowops, Abba, The Platters, Paul Anka, and all the other secular shows that would attract crowds to the Great Auditorium on summer Saturday nights. The schedule below is for the summer of 2017, and it largely consists of Christian programming except for a few band concerts and The Beach Boys. * We have no information as to the thinking behind this plan, but it will certainly change the town’s image. The list below is “provisional” and will be finalized by April. In recent years, the shows have gotten stale, and there have been many complaints. But instead of injecting more life into the menu, the CMA has decided to take a totally new direction. The impact of this is uncertain, and certainly the hotels, B and B’s and eateries must be concerned. Yet the beaches will attract weekend throngs and thongs as before, and so the crowds will still come to the Grove. But on Saturday nights, there probably won’t be more parking because there will be more room for the Asburians who need a place to drop off their vehicles for free. And there always will be Saturday night in A. Park for those seeking adult entertainment. By Mark Neumann, Ocean Grover. “This is sad. We live in Highlands and enjoyed driving down to Ocean Grove for the concerts. We’d come early to eat, probably Nagles, set up on the lawn and get an ice cream from Day’s during the concert. 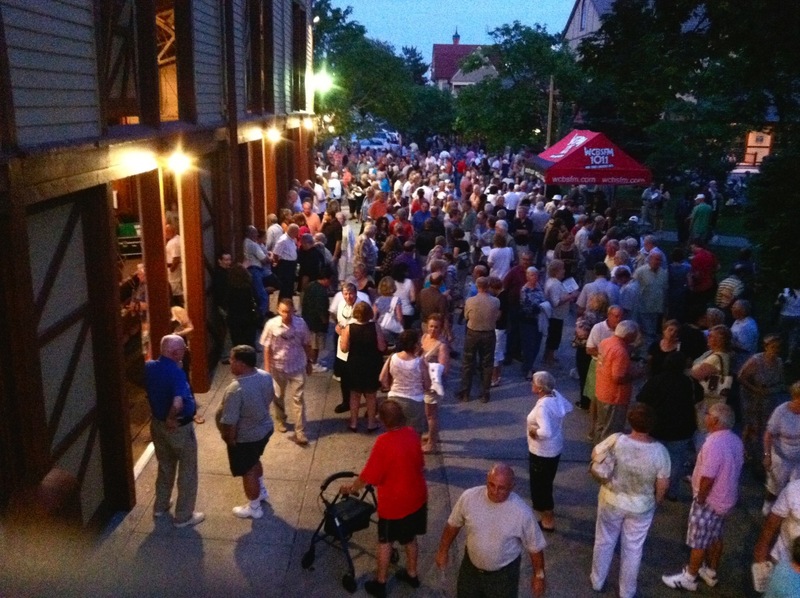 This Highlander’s remark is of interest because a summer Saturday night in Ocean Grove is not merely a chance to hear Kenny Vance or Neil Sedaka; it is an experience that reflects the lifestyles in our small historic town. It is a nostalgic throwback that makes you feel as if you are in 1950’s America, notwithstanding the Victorian style homes. You walk around perhaps on the way to the Great Auditorium. You see children chasing a ball, teenagers holding hands, adults on porches with a Martini and few laughs. You hear music, perhaps someone practicing a bagpipe—or stroking a few chords on a guitar; or maybe it’s a chorus of wind-chimes from porches as you pass. And you feel a sense of calm, of family, of safety and even of happiness. The “ancient” music emanating from the GA is only part of the mosaic. And this sort of feeling is not confined to residents of the Grove, as we see from the comment above. 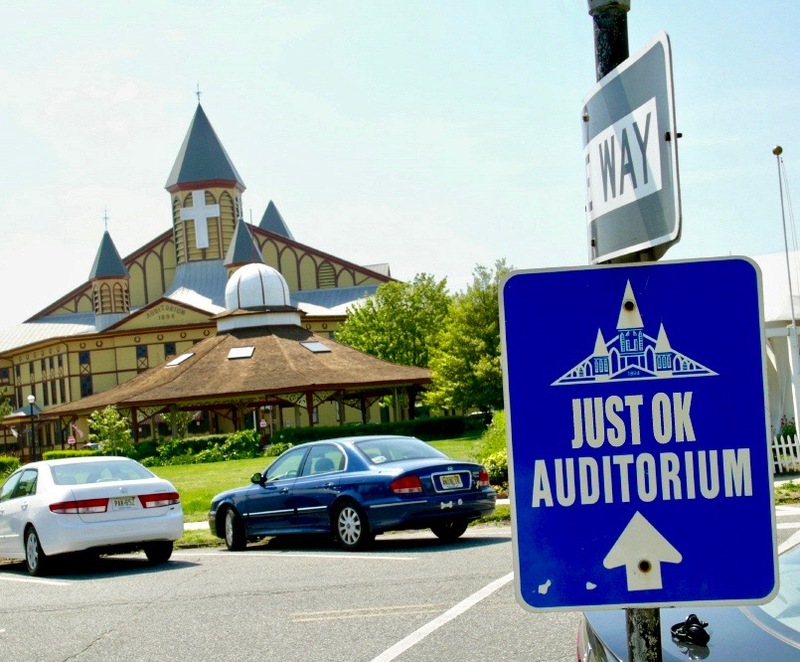 Hopefully the Great Auditorium management understood the concept of an Ocean Grove vibe when it made its decision. This is a real shame. These type of events are what makes our town extra special and gives us that little feeling of a magical night in Ocean Grove, while the echoes of oldies being sung in the Great Auditorium permeates throughout our streets. I have the fond memory of hearing Johnny Mathis singing in the GA while sitting on my porch and I thought these type of moments could never be duplicated in any other town, and this is why I moved here. Whether I was a paying concert goer, or relaxing in my camping chair outside the GA listening to a concert, or sitting on my porch for a listen and for a ‘feeling,’ it was all so magical. Others would also enjoy the experience as residents and visitors would gather on porches or walk by. Not being able to make more of these same memories in our town saddens me. Is there anything we can do to change their mind? When we moved here 33 years ago many people purchased season tickets which covered every Saturday night concert. There were no reserved seats, and seasonal ticket holders would arrive early to choose their favorite seat. It was gratifying to see the Auditorium filled to capacity on most Saturday evenings. Auditorium Square Park was a magical place ablaze with activity every Saturday night. Fast forward: For many years, the same acts were presented with little innovation or new talent. As an avid music listener, I would generally see my favorites once or twice at the Auditorium. In recent years there was little new and I stopped attending. I do however attend some classical concerts offered during the week. The Summer Stars series has remained fresh and innovative. The CMA needs to be proactive and provide patrons with exciting entertainment options. The fact that many recent shows were poorly attended is largely a result of the offerings. At least the parking will be better around town on Saturday nights! I always heard that OGCMA could not afford to pay the cost of bigger acts. Their entertainment budget was allotted only a certain dollar amount that they wouldn’t sway from. The most recent entertainment director retired, and this is the path they chose to go for 2017. Many residents will be disappointed. As for visiting concert goers,the parking issues swayed some to stay away. If you were staying overnight at one of our B&B’s it’s probably less of an issue. However for the many folks who came in just for a Saturday evening show, let’s face it, if you don’t want to park near Fletcher Lake or by the Main Avenue front gates, you really need to have a parking game plan. Most entertainment venues either provide parking, or there are nearby private lots for patrons to park for a fee. The OGCMA’s unwillingness to provide visitors additional parking options made the situation worse. With this new change in OGCMA’s entertainment lineup, parking in the northern half of town will not get any better, most likely due to the Asbury overspill. Homeowners on the South End can cross their fingers & hope that they might get some limited relief. Wait and see. Ugh. They went in the wrong direction. This sounds really boring, frankly. This is the first summer the new COO John D is at the helm. I would not be surprised if there is more financial discipline in the scheduling. Over the years, the attendance on Saturday nights has dwindled, while I assume costs have gone up. Another reason is the target audience for DoWop is shrinking. While I’m A baby boomer, I have zero interest in DoWop. Given me classic rock and roll any day! For many years, perhaps 10, we have had friends from all over New Jersey join us in June for our annual “Doo Wop Party.” They would arrive at 5 pm with a special dish for dinner. Through the years we had settled into a formula for the food and the evening. I always made my beef chile, yellow rice with peas, and avocados. Others brought their own specialties: a shrimp dish (fabulous!) grilled veggies, bread, wine, desserts, etc. We would have a leisurely dinner and then I would hand out the Doo Wop tickets. Then we’d all wander over past “Tent City” to the Great Auditorium, chatting with neighbors on the way. It was a special and magical stroll that everyone loved. When the concert was over, we would walk back to our house for coffee and dessert. It was an event that was looked forward to by all, and we considered it the official beginning of summer. Editor’s note: We often worry on Blogfinger about the future of Ocean Grove and its lifestyles for residents and visitors alike. But the Grove is still a marvelous place despite some shortcomings which should be fixed. It all comes down to $$. Good shows cost a lot, most of those, just didn’t cut it. Lets see what happens next year! This will be a great summer no matter.